Digital agencies thrive on their clients. Getting those clients takes a lot of hard work though, and when you’ve finally got the meeting, you have to be careful not to blow it in the first few minutes. 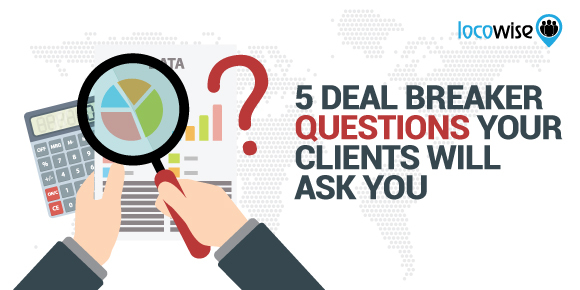 Take a look at the following questions that any prospective client is going to ask you. And then take a look at the best answers. Each of these questions, by the way, could be a ‘deal-breaker’. Knowing the best answers makes you ready. 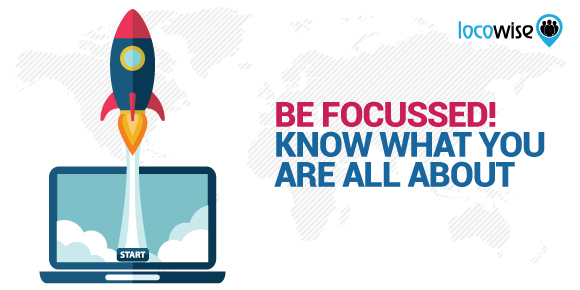 And that’s the best way to be in the hyper-competitive arena of digital agency work. What’s your agency done for clients? Obviously, this could have many different forms as a question. 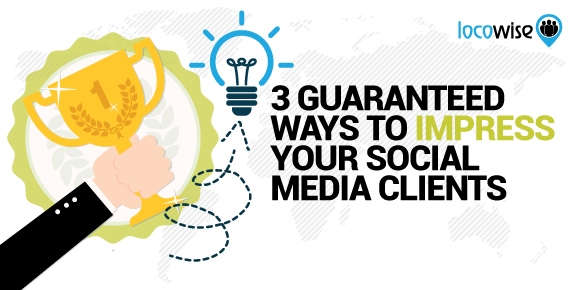 What they are asking you for is the proof that you can make clients successful. That you can create high quality digital work that helps clients gain a solid (and beyond) return on that investment. Get the portfolio and start showing the prospect all of the work you have done. Your portfolio should include numbers. These numbers should show exactly what you did and why it was successful for that client. Alongside that, client testimonials will only help, and they give you that solid social proof that you need to show your value. 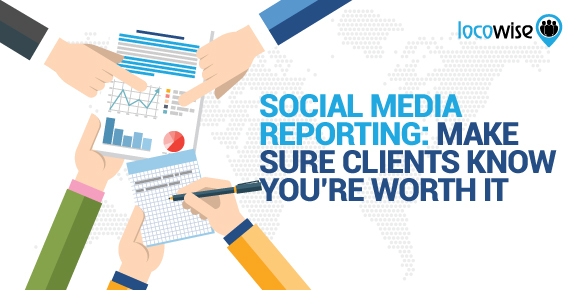 What agencies need to know is that clients will only be clients if you bring results. You cost money, so you need to show how that spending is justified. If you can’t show them evidence of your work and its impact, you’re no good to them. Work to ensure your portfolio and/or website are up to scratch. Would you buy from you? Any self respecting digital agency knows that a clear and robust plan is what your prospects need to see right at the very start of the process. And it does have to be cohesive, and show a way forward for the client’s marketing. The market research you do, as well as the industry research, shows a prospect that you can work at a very deep level. You know the industry and you know the people and the brands in it. Giving your plan for a prospect away isn’t a problem. You aren’t divulging your big secrets. Instead, you’re building confidence and trust in you. So if this question comes up, roll out the strategy, and make sure your prospect knows that you know what you’re doing. Not having a clear plan that the prospect can see themselves in is a crucial mistake. Start getting it ready as soon as you know you’re going to meet with the potential client. A warning right now. Tread very carefully with your answer to this question. The bottom line is that clients will want you to communicate in a way that suits them and how they work. If you’re not doing this, they won’t be happy. It’s a funny game, communication. You need to feel your way through this part, and work out what it is they need. If they want a conference call every hour, your agency has to be able to fulfill that need (but be aware that we think that is pretty extreme). They’ll want to know what data you can provide and when of course, so have the details ready so that you can immediately show them that you know what you’re doing. And give examples too of how you have utilised data to help other clients reach their goals. Remember that some prospects will be potentially wary of digital agencies, you need to show them how you can add value. Ultimately, they can drive a lot of this. Ask them questions at this stage, so you know what they want from communication. Whatever you do, don’t jump down their throats with a stock answer. They have to work with you, and they want a relationship, not a product. What do we get, exactly, for our money? This is where you have to show the prospect just what it is that they will be signing up for. They’ll know what you do, but for them to be able to sign up in confidence, you need to pull apart the exact process behind your offering. What do you actually offer to clients? Are there packages, and if so, why are there packages? Believe it or not, some clients won’t like the fact that there are packages, because that automatically (in their eyes at least) means a difference in quality. Can you offer the full gamut of content creation, or just really, really good work on Instagram? Every digital agency offers value in some area. But before you hit them with a full on sales pitch that tells them how good they are, tell them what they get. In other words, this question is asking What’s In It For Me? Compared to other agencies, you might be. And again, we know the question may not be phrased in this way. They might simply extend the previous question so it focuses more on money rather than ‘what they get’. In any case, this is one question that needs to be answered with conviction and confidence. You will be more expensive than at least one other agency in your space. But that is nothing to worry about. In fact, it is a direct result of your agency being super effective and able to drive results. In other words, it’s not because you’re greedy, and you didn’t just pick the figure out of thin air. The response talks of that quality. It also focuses on the sheer variety of agencies out there. You cost what you do because you strive to complete a comprehensive brief, work with the client closely, and offer a positive, results-driven approach. Drag in some social proof at the same time so they can see comments from previous clients who paid the fee. Don’t say anything about working out a ‘deal’ or seeing if you can make the quote more ‘comfortable’. You can, of course, but they don’t need to know that until they have shown they want to work with you. Gaining new business is tough, but you deserve success. Remember that prospects will ask tough questions, and be ready with your answers. Ignoring this part of the process can make the whole process tougher, and ultimately painful. Fancy the very best chance of impressing? Try our Locowise platform for metric reporting that makes the world a better place. We’ll give you seven days for free, so what are you waiting for?